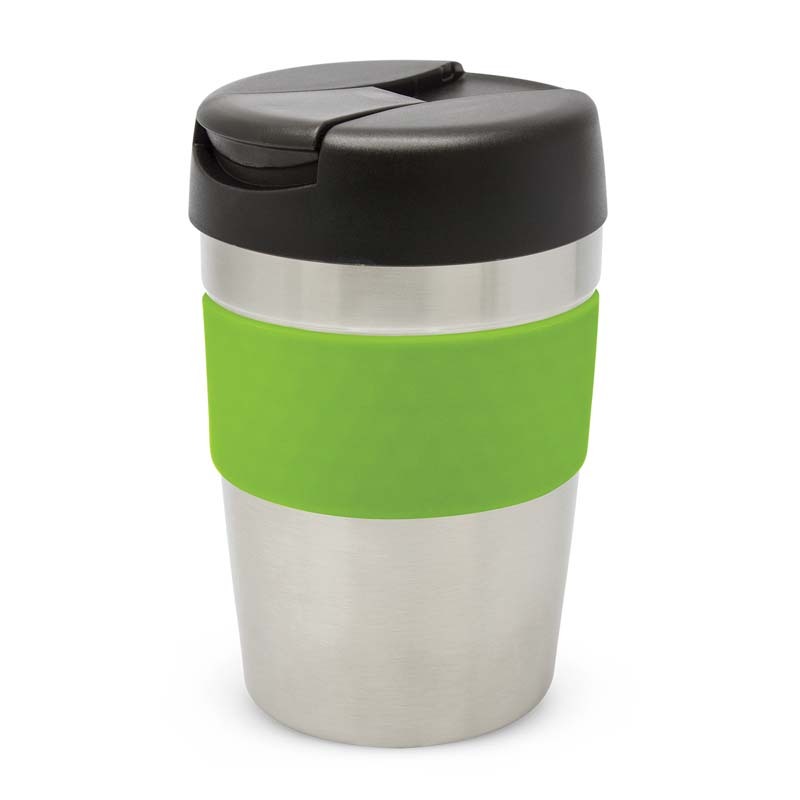 Premium 340ml double wall, vacuum insulated stainless steel cup which will keep drinks hot for up to three hours. It has a soft touch silicone band and a secure screw on lid with a splash proof flip closure. 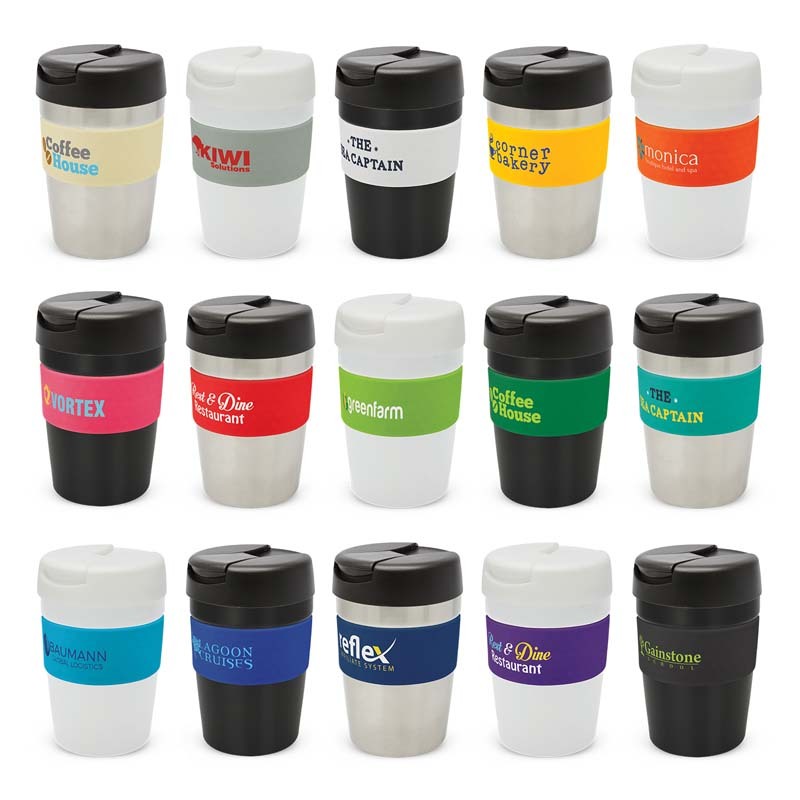 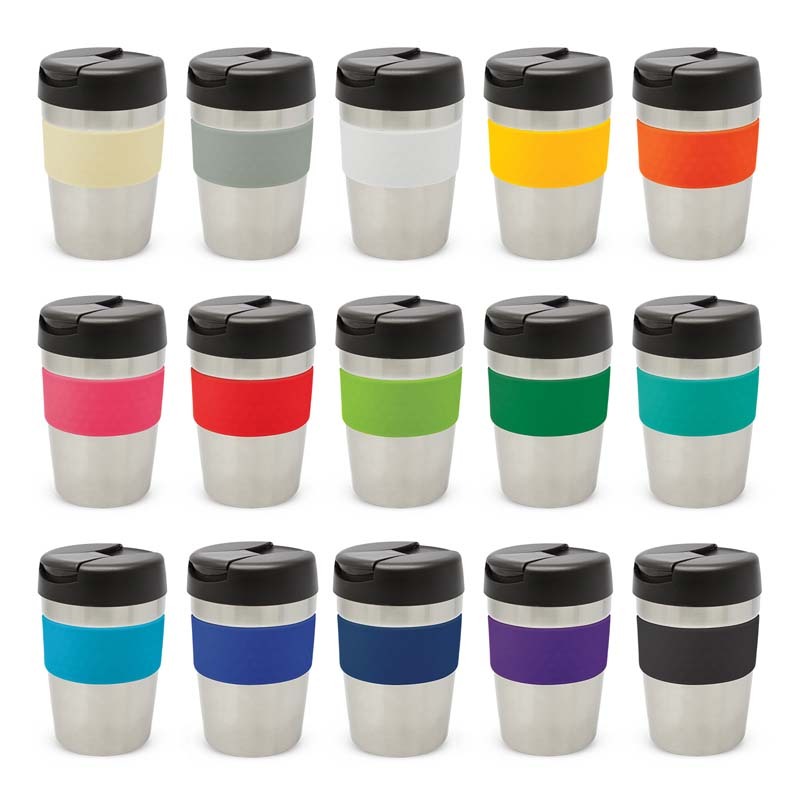 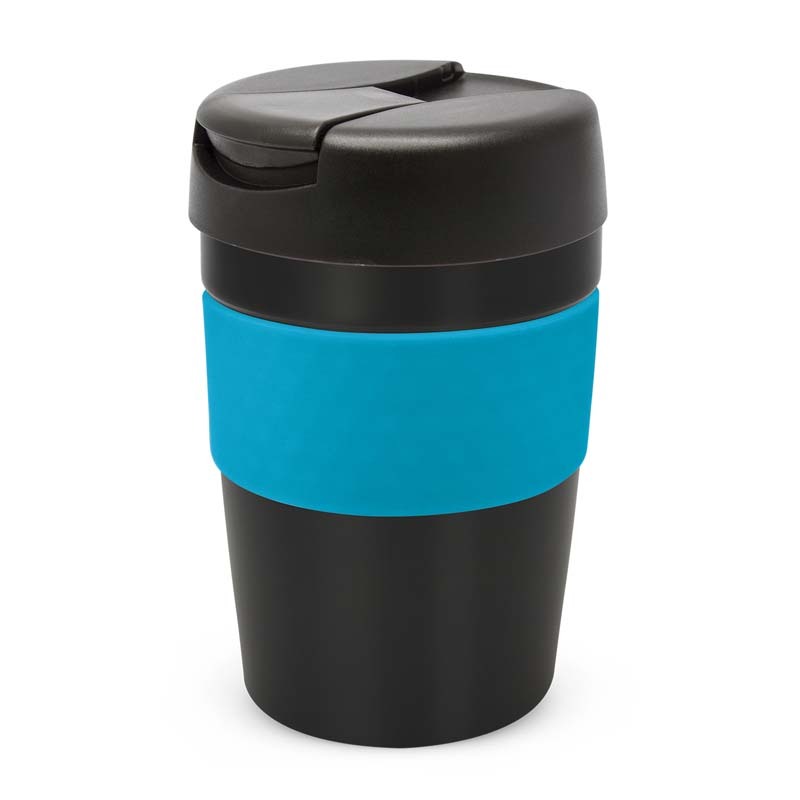 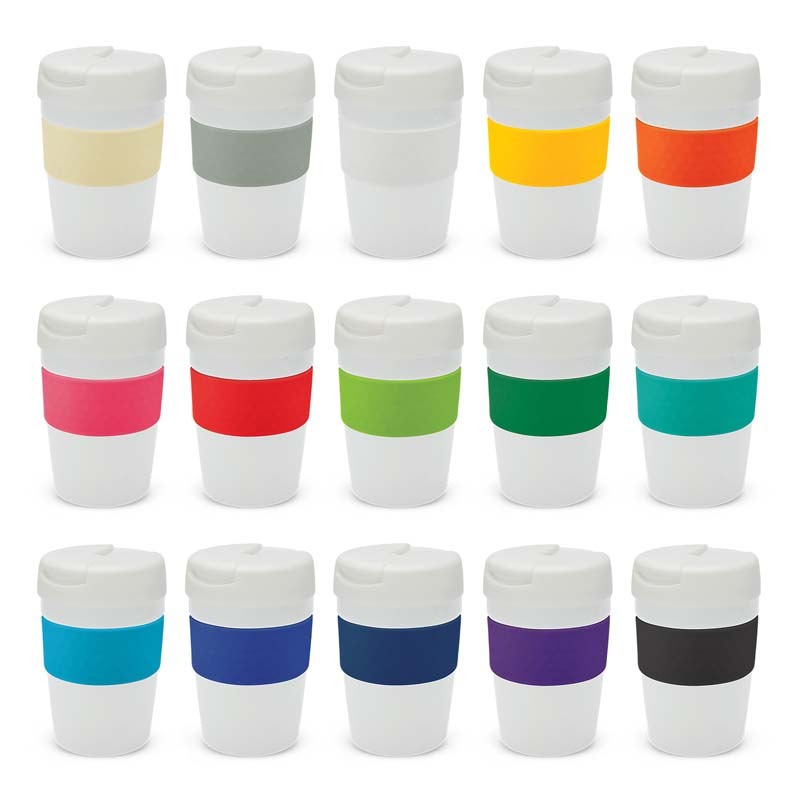 The cup, lid and band can be mixed and matched in any colour combination from the colour palette at no extra cost. 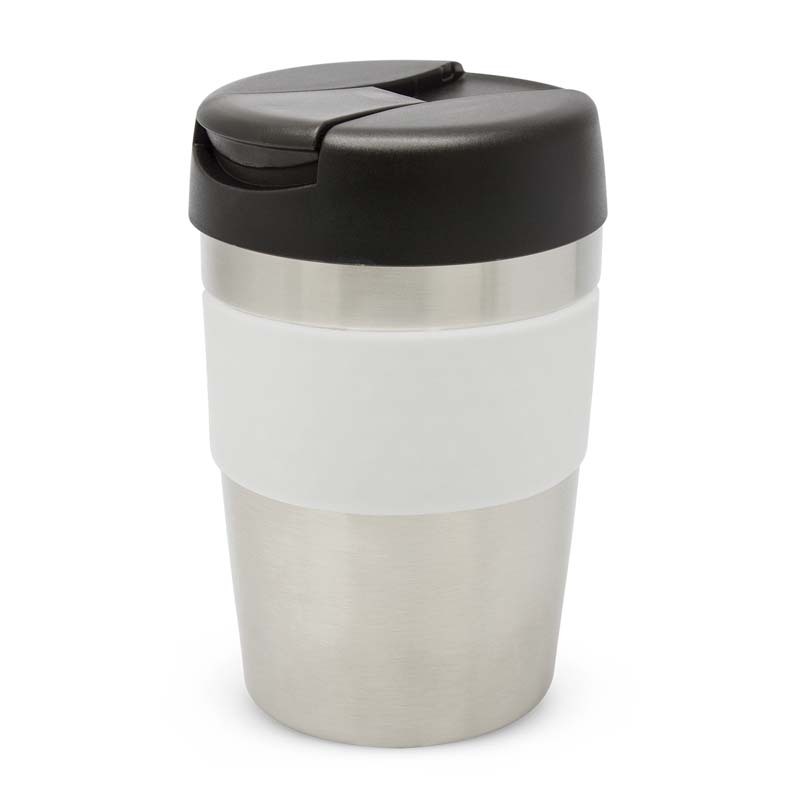 Java laser engraves to a stainless steel finish and is BPA free. 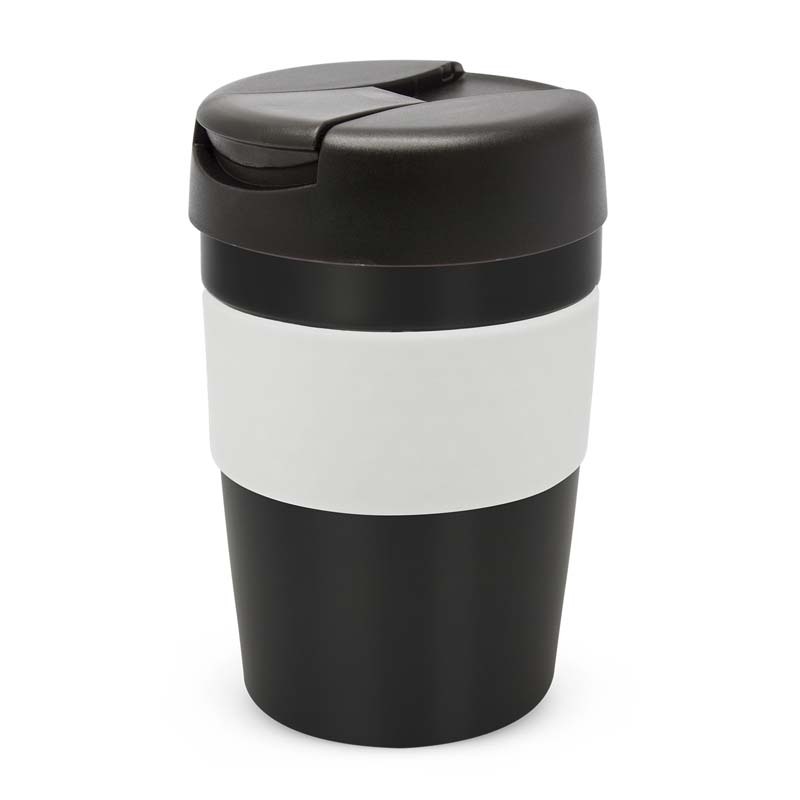 It is presented in a black gift box. Laser Engraving: Below Band - 22mm x 30mm. 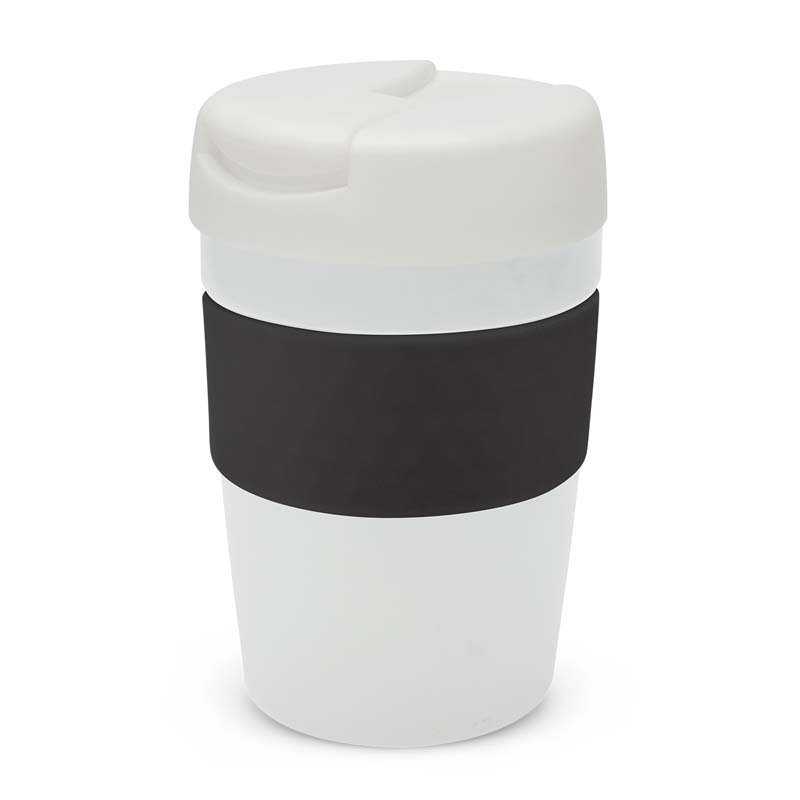 Colours Cup: White/White, Silver/Black, Black/Black. 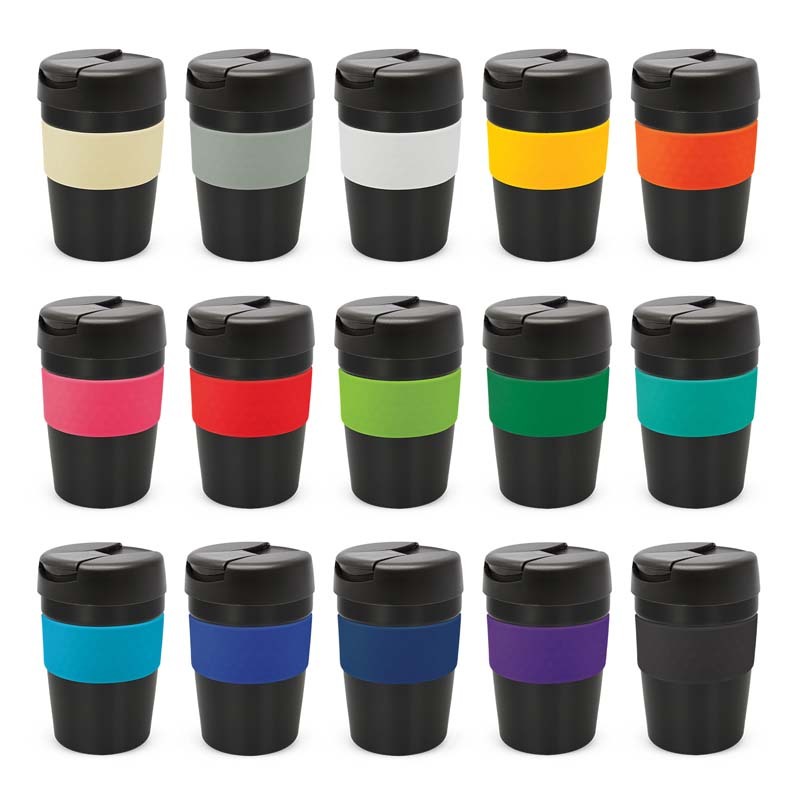 Band: Grey, White, Yellow, Orange, Pink, Red, Bright Green, Dark Green, Teal, Light Blue, Dark Blue, Navy, Purple, Black.